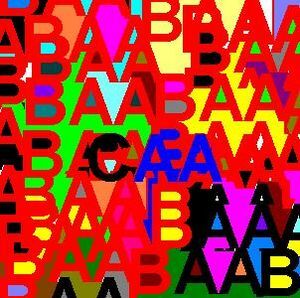 Okay, after picking the bits of my scattered brain from the floor, I have come to the conclusion that the letter A is some sort of schizophrenic shape-shifter moonlighting as two different letters at once. How do I know this? How? Because I'm a lexicographer type person. This page was last edited on 23 Octodest 2017, at 09:08.